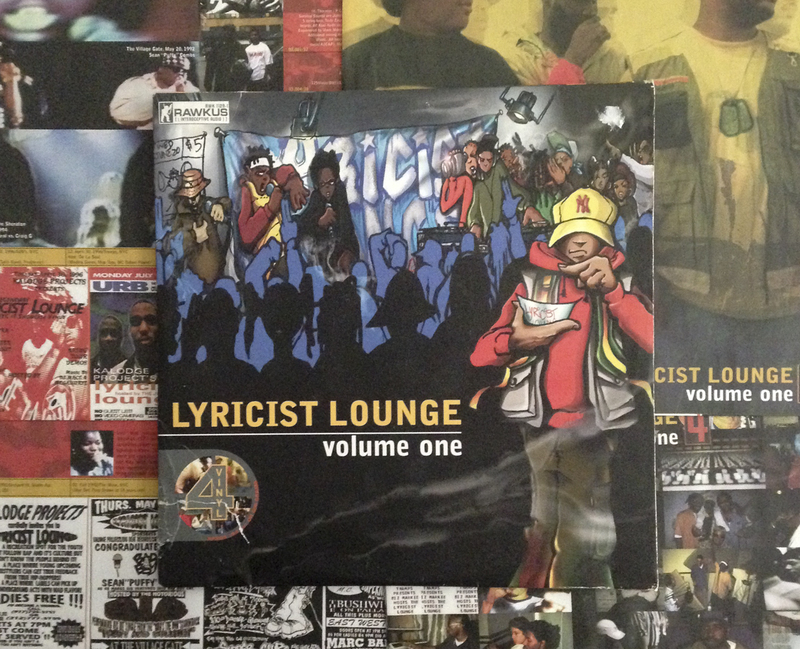 Lyricist Lounge Vol.1 was released on this day in 1998 through Rawkus Records and inspired by the work of Danny Castro and Anthony Marshall. 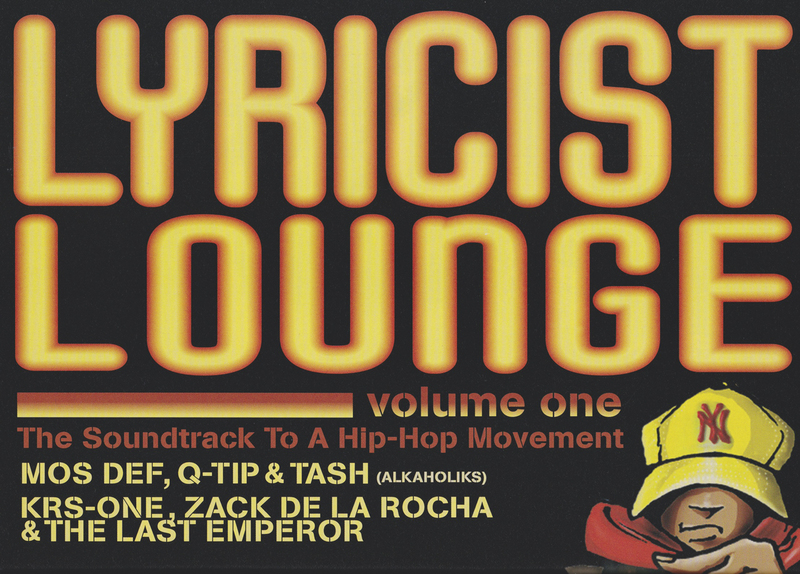 In its rawest form, Lyricist Lounge was originally an open-mic gathering of underground MCs on various stages throughout New York City. 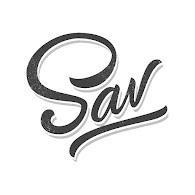 It was a platform that launched many successful careers and gave an outlet to countless others to be inspired and share their art. 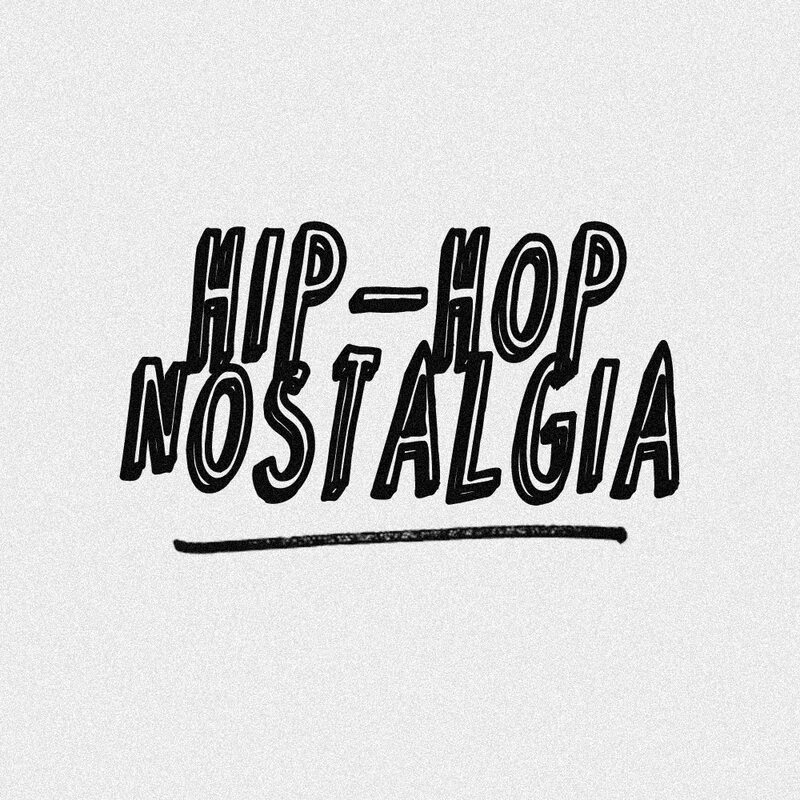 From official releases, mixtapes, open mic nights, the Lyricist Lounge show on MTV, and all the park jams and events they continue to throw, I salute Danny Castro and Anthony Marshall for laying the foundation. I've worked with Danny Castro through my artist, Eternia, on several occasions and they hold some of my fondest memories in NYC. This double-disc release was one movement in a long line of things they helped do to push the culture forward, and 19 years later, it still deserves our support and recognition. 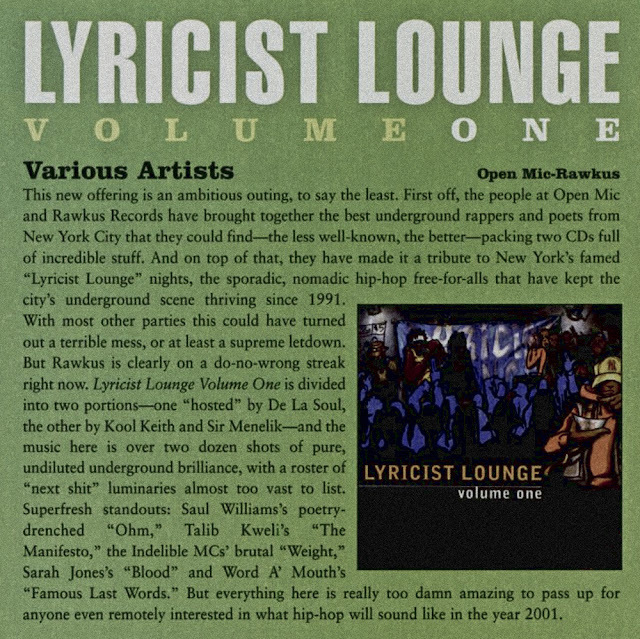 Vol.1 includes classic underground records from Mos Def & Q-Tip, Pharoahe Monch & Black Thought, Punchline & Wordsworth, O.C. 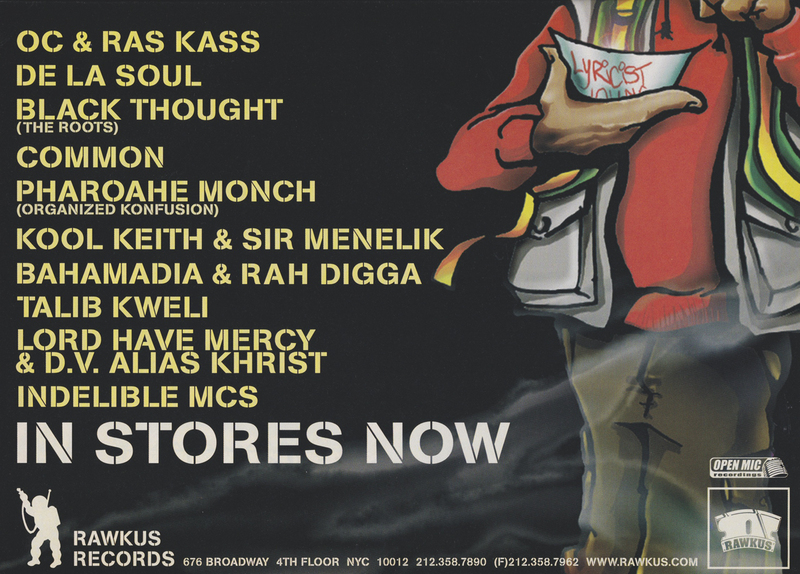 & Rass Kass, De La Soul, Bahamadia & Rah Digga, The Last Emperor, Indelible MC's & so much more.